Four killed in gas cylinder blast in Sindhupalchowk - Integration Through Media ....! 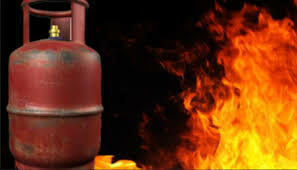 KATHMANDU: Four people were killed after a gas cylinder went off in an eatery nearby Shivashree Hydropower Project at Bhotekoshi Rural Municplaity-4 in Sindhupalchowk district today. Police are yet to ascertain the identities of the deceased. According to the District Police Office, Sindhupalchwok, all the deceased were the labourers. A team of police led by Police Inspector Yadav Thapa Chettri has set out for the accident site from the Area Police Office, Bahrabishe. Shivashree Hydropower Project outgoing office-bearer Umesh Kasaju shared that they heard about the human causalities in gas cylinder explosion but they could not determine the exact number of the deceased ones.